After a hiatus, the Cayman Islands International Film Festival is back, running from June 18-20, at various venues in the Cayman Islands. The CayFilm Cayman International Film Festival is an annual multi-day spectacular event that promotes the Cayman Islands as a world-class filming destination and incredible place to visit and do business. Included in the festival will be daily film screenings, question and answer sessions with filmmakers, panel discussions, workshops, an exclusive premiere screening, and a celebrity gala event. The Festival is opening up the Cayman Islands to the film industry around the world whilst opening up the world to Cayman’s young and aspiring filmmakers. In support of their goal to offer film related educational opportunities in the Cayman Islands, the Festival has developed the Cayman Media Academy (CMA) under the CayFilm umbrella. There, classes will be offered to students wishing to further their education in different film related studies with the eventual goal of a full-time associates degree available at the University College of the Cayman Islands (UCCI). Young children will have their own specially designed programmes to inspire and give confidence about their own unique abilities as filmmakers. Now, let’s take a look at the Caribbean Films being featured at this year’s Festival. 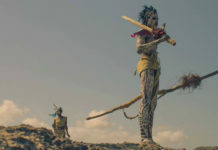 The Festival will screen films from the Traveling Film Showcase’s official programme, which includes films from many Caribbean islands, as well as countries bordering the Caribbean in South and Central America. Click here to view this year’s programme. The invasion echoed around the world and ended a unique experiment in Caribbean politics. What were the circumstances that led to this extraordinary chain of events? This comprehensive, gripping and revealing documentary tells the story of the Grenada revolution as never before. The film features extensive, previously unseen file footage, as well as old and new interviews with many of the key players of the time. Paddington is an award winning filmmaker, having made over 500 films and television programmes. This latest film ‘Forward Ever: The Killing of A Revolution’, highlights the revolutionary government of Grenada, that came to power by a coup in 1979, and its demise with the bloody killings of 1983. This comprehensive, gripping and revealing documentary features extensive, previously unseen file footage and tells the story of the Grenada revolution as never before. View the list of films here. Derek Walcott, Literature Nobel Laureate has traveled the world while remaining closely connected to his beloved island St. Lucia. As a poet, playwright, painter and even filmmaker, Derek Walcott has been hymning the Caribbean for over 60 years. 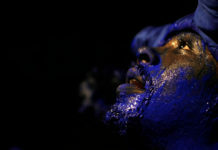 This documentary presents an intimate portrait of him, set in his beloved native island St. Lucia. The place he always longs for, when he is taken to far away places by his universally acclaimed work. What moves and inspires this great poet? Who are the people whose lives became poetry through his writings? And how do they experience the gift of language of their friend, their mentor, and their father? This film explores the poetry of Derek Walcott, the landscapes and people that inspire it. 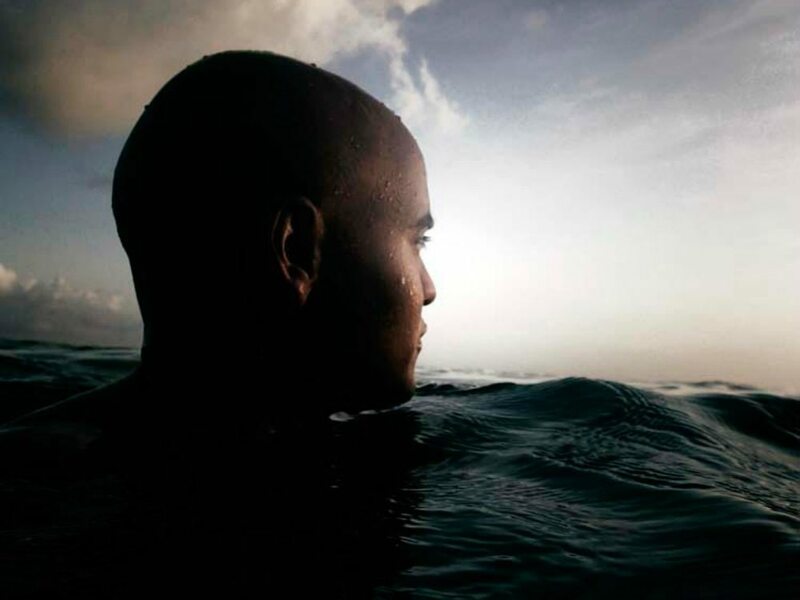 The film observes Walcott in places essential to his work and life, and gathers the thoughts of some of his closest childhood friends. Most importantly, this documentary is a celebration of the greatest gift Walcott has given the world: his poetry. In The Sons of Mapes, the filmmaker creates an intimate portrait of his Afro-Caribbean father, following his youth on the island of Curaçao and rise to international success as a professional tennis player in the 1960s and 70s. The film also chronicles his father’s 40-year reunion with his all-Latin American collegiate tennis team and their 86 year-old coach from Texas. This is a story about love, faith, perseverance, and the unbreakable bonds between family and old friends. “12 Months” is a documentary about a Los Angeles man (Tony) who rented his home for the entire year of 2013 for $1 per month to help a family in transitional housing. He never met the family, but offered his 3-bedroom home to give the family a chance to get on their feet. The story follows Felicia Dukes and her four children as they are in Tony’s home, as well as explores the impact that generosity has on the community. The history of early art in Cayman is introduced through the story of the islands seafaring heritage. Interviews with artists are accompanied by footage of works of art from each decade from the 1960s through the millennium. Jacob’s voice over narration introduces the key shifts in artistic trends as we move through the islands development. B-roll footage and still images include relevant island locations, flora, fauna and pertinent happenings including the building of the new National Gallery on Grand Cayman and the devastation caused by hurricane Ivan in 2004. A final screen explains the delicate balance of government and private funding sources and provides contact details for the gallery. It is about a man from a tiny Caribbean island who reached 80 percent of the planet in a single night. MasMan explores Peter Minshall’s leap from designer in the Trinidad Carnival to an artistic director of the Opening Ceremonies for three Olympic Games, based on his knack for “making what is small seem big in open space.” Minshall was instrumental in staging the 1992 Barcelona Games, Atlanta (1996) and Salt Lake City (2002), for which he won an Emmy. 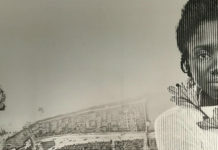 Olympic Games producers found Minshall’s genius for orchestrating grand spectacles in the Trinidad Carnival, where his themes usually play on good and evil. His platform has been “the Mas,” which he brings to the streets as theatre, or dancing mobiles, way beyond the horizon of masquerade. The Cayman Islands Amateur Boxing Association are training two talented Caymanians to compete in the 2016 Rio Olympics. We talk to both the fighters and find out what the people supporting them through both good times and bad to get to the worlds ultimate sports event.